last monday night was the first time in weeks it didn’t feel like an oven outside. i texted joshua, my guitar student & music video production assistant, to see if he wanted to run some errands in my un-air conditioned jeep. 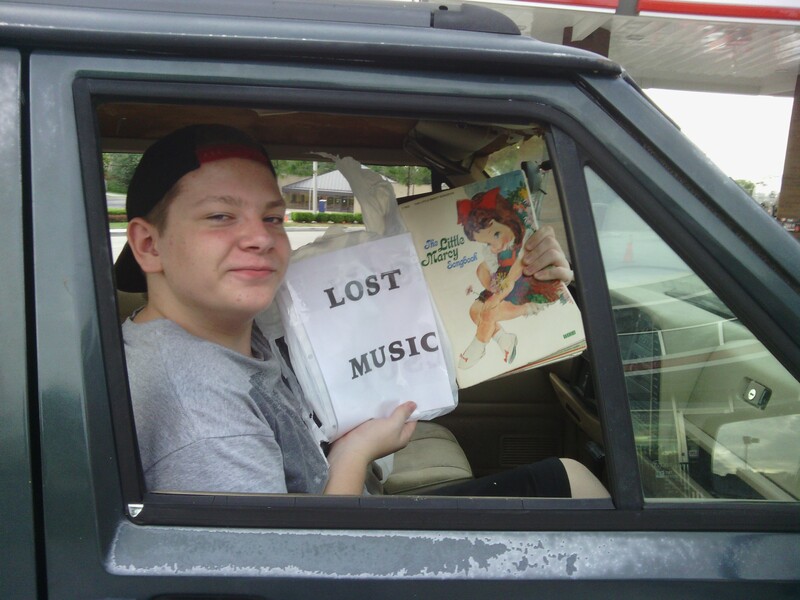 as we headed west on santa fe we saw a bag of “lost music” taped to a lamp post. 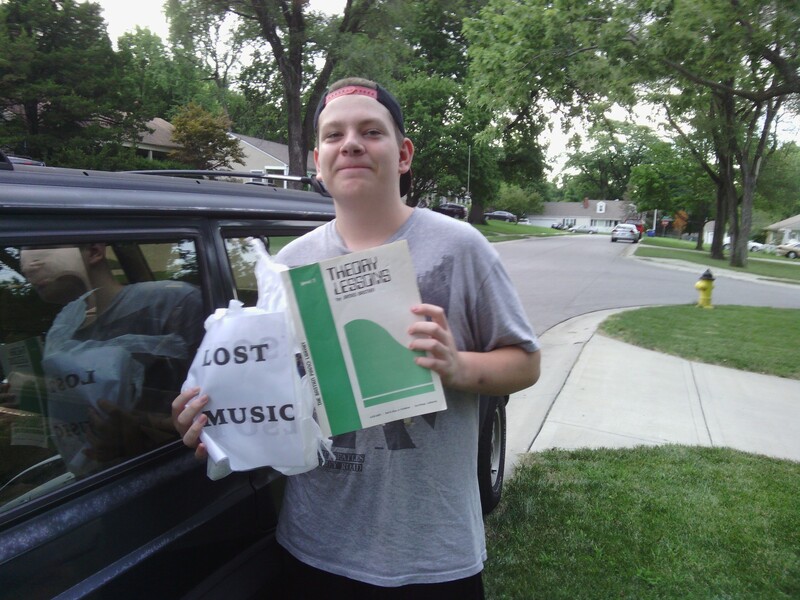 inside was a handful of sheet music for piano students. i’ll admit, i don’t have a good excuse for grabbing someone else’s stuff, except that it’s HIGHLY unlikely that the real owner would ever show up, and i’ll just confess now that i really wanted to see what was in that bag! Let me know. I might be able to give some help with lessons.